Dr. Tania E. Velez at Velez Family Health in the Doctor Phillips area of Orlando, Florida, believes preventive medicine is the best medicine. Your regular physicals fall into that disease prevention category. The annual physical examination gives both you and Dr. Velez the opportunity to discuss health and areas of concern. As a family medicine practitioner, Dr. Velez sees patients of all ages, even pediatrics. If you’re in need of a physical examination, call the office or book an appointment online. Yes. Dr. Velez recommends you come in and see her once a year when you’re not sick so she can assess your health and talk to you about good health practices. The physical exam not only helps you get a handle on your health needs, but also helps both of you maintain a good doctor-patient relationship. What can I expect during a physical examination? As a holistic practitioner, Dr. Velez provides a very thorough physical examination to get the best overall picture of your health. The examination starts with a check of your vitals, including height, weight, lungs, heart, and blood pressure. From there, Dr. Velez conducts her physical exam. She takes a look at your body from head to toe, checking your eyes and ears, palpating your abdomen to feel your internal organs, and then testing your reflexes. In addition to the physical exam, Dr. Velez may also request bloodwork, which helps her assess liver and kidney function. It also may help her identify diseases such as diabetes or anemia. During the physical, Dr. Velez may also ask questions to get a sense of how you’re feeling and gather some of your health concerns. What happens after a physical exam? 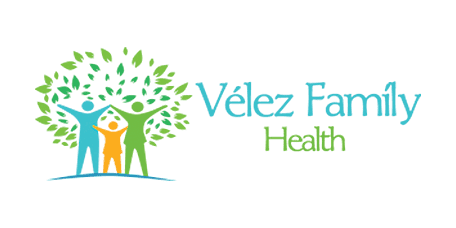 Once Dr. Velez has completed her physical exam, she develops a specialized health plan for you. This might include a preventive care plan such as a discussion about diet, exercise, and techniques for stress reduction. Dr. Velez may also go over any concerns arising from the exam and recommend additional tests or specific treatments. As a family medicine practitioner, Dr. Velez is trained to care for people of all ages and provides physicals for young and old, including pediatrics. If you’re in need of a physical examination to assess the status of your health, call the office or book an appointment online.